Natural, soothing 24 hour care cream. 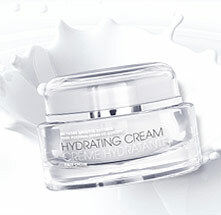 The gentle texture of the care cream is particularly suitable for (hyper) sensitive and delicate facial skin. Corrective facial care for large pores, blemished, and oily problem skin. Soothing facial care for skin that’s dry, sensitive, or prone to redness (couperose). Soothing facial care for in hyper-sensitive and dry skin.